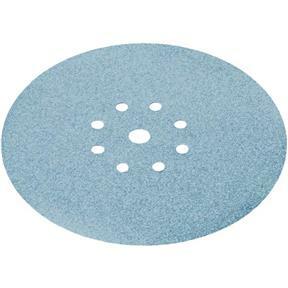 Granat for Planex Sanders 120 Grit, 25 pk. Festool 499638 - Granat for Planex Sanders 120 Grit, 25 pk. A premium abrasive composed of hardened Aluminum Oxide and Ceramic Grit for scratch resistant coatings, drywall compound and plaster. Festool offers a fully integrated sanding solution for all your applications, from aggressive stock removal to superfine, finish sanding. With a complete line of abrasives in a wide assortment of different types and grits ranging from 40 to 320 for the PLANEX Drywall Sander, Festool has the perfect paper to meet your specific application needs. Festool abrasives, with their high tech coatings, provide maximum resistance to clogging and smearing, which means longer lasting abrasives and less rework. Save money by reducing costs and achieve consistent, high-quality results.